Copyright, 186, by Broder A Schlam. 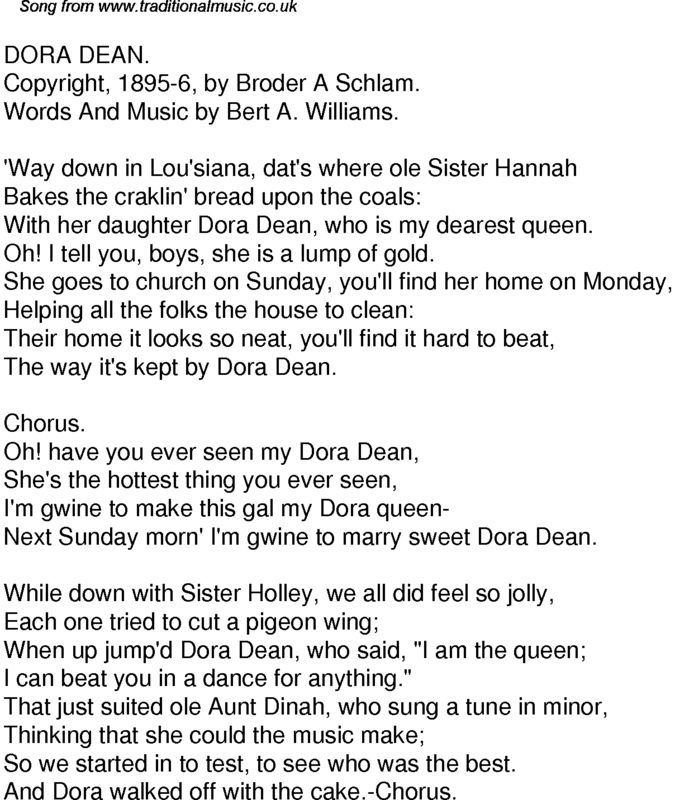 Words And Music by Bert A. Williams. With her daughter Dora Dean, who is my dearest queen. Next Sunday morn' I'm gwine to marry sweet Dora Dean. I can beat you in a dance for anything." So we started in to test, to see who was the best. And Dora walked off with the cake.-Chorus.